“Tzedakah and acts of kindness to others are the equivalent to all of the mitzvot in the Torah.” Jerusalem Talmud, Pe’ah 1:1. While Beth El has an abundance of community service projects year round, our annual Mitzvah Day is our largest and most impactful social action event of the year. Every October, our congregation mobilizes its membership, and springs into action, by performing an amazing array of meaningful community service projects, as well as holding monumental collection efforts — all occurring on the very same day. Collectively, we engage in a concerted effort to improve the quality of thousands of lives of those in need our community, Israel, and worldwide. Join us for Mitzvah Day on October 28! Help us help those in need in our community and beyond. Donate requested items and sign up for a project by contacting the captain of the project of your choice. For other info, contact chairs: Jon Polon at jonpolon@hotmail.com or 917-543-0118 or Donna Shimshi at donnashimshi@gmail.com or 240-731-1731. All projects qualify for SSL hours. Pizza will be sold at Beth El from 11:45 am to 1:30 pm. Proceeds will benefit Friends of the Israel Defense Forces (FIDF). 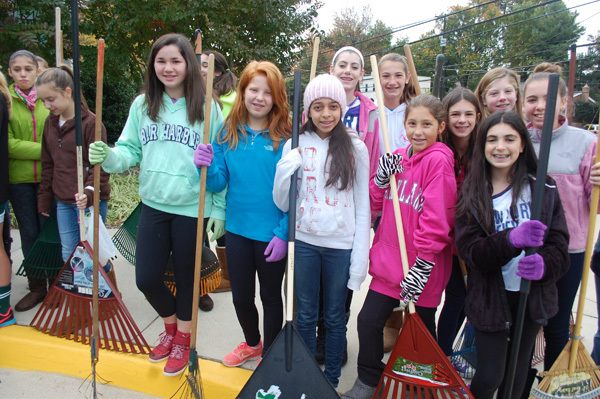 Beth El’s Mitzvah Day is underwritten by our Sondra Bender Community Service Fund. Having trouble viewing the Mitzvah Day grid? Click here to open it in a new window. Daniel Nestel and his team of 35 participants packed 532 snack bags to enable schoolchildren in need to have healthful food to eat over the weekend. Hillary Berman and Erika Dickstein collected 507 bras and 10,517 feminine hygiene products for homeless women through Support the Girls. Forty Beth El Preschool children and parents made 150 gift bags for sick kids at the Ronald McDonald House led by Marissa Gold, Angela Lipschutz and Rachel Roth. Richard Lieberman and his volunteers collected a record 79 bicycles to send to people in underdeveloped countries through Bikes for the World. Alana Aronin and her volunteers collected 120 bags full of gently used clothing for the Interfaith Clothing Center. Mara Greengrass collected 185 dress shirts and pants, 87 suits, and 36 dresses for donation to Strive DC. Alec Friedman and Shane Schwartz collected 10 large bins of sporting equipment for Level the Playing Field. Jack Ventura and Jon Simon reported that 51 congregants donated 49 units of life-saving blood, exceeding INOVA’s goal of 42 units. Led by Stacey Topol, Beth El members made 60+ cards and letters to be hand-delivered to Israeli soldiers by the Friends of the Israel Defense Forces (FIDF). Jonathan Epstein and volunteers from the Men’s Club sold pizza to participants, raising $487 for the FIDF. Beth El Youth Group members made 35 dog chew toys for the Montgomery County Animal Shelter and 15 “no sew” blankets for the Greentree Shelter. The Swinging Kleztones (composed of six Beth El members) gave a free concert to about 45 residents of the Hebrew Home. Twelve members of Marak Hayom, Beth El’s Teen A Capella Group, performed for 50 adults and guests at the Revitz House. Julie Mack and Harry Appelman performed a jazz concert for about 45 residents of the Ring House. Barbara Klein and Dana Rosenfeld, along with 29 volunteers, prepared 25 large main-course casseroles and 350 desserts for homeless people in Montgomery County through Shepherd’s Table and Interfaith Works. Elisa Rapaport and her volunteers collected a half-ton of electronics that will be recycled through Mother Earth. Andrea Rifkind shared that congregants filled 3/4 of the Wider Circle truck with items for low-income families, such as furniture, baby seats and strollers. Doris Povich collected hundreds of calendars to donate to the Charles E. Smith Life Communities. Howie Stein led a walk to benefit Shepherd’s Table with 13 participants, raising $260. Karen Levy-Brown collected a large box of items to create comfort cases for children in foster care. Donna Saady and five volunteers served lunch to homeless women at Interfaith Works Women’s Shelter. Heather Janssen’s team of 13 members crocheted 34 bunnies for JSSA to give to hospice patients. The Shimshi family raised $105 for the Feline Foundation of Greater Washington by selling lemonade to the Mitzvah Day volunteers.